• What can Saints do for an encore? • Video: Are Eagles set up for the future? 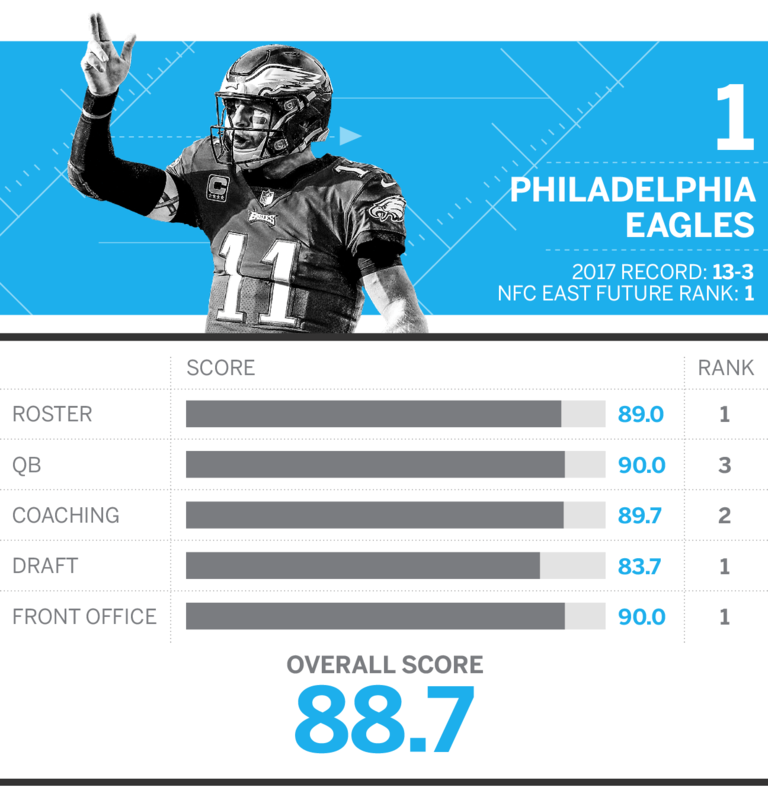 After averaging the results from the panelists, each of the five categories was weighted to create the overall score -- roster (30 percent), quarterback (20 percent), draft (15 percent), front office (15 percent) and coaching (20 percent). The result is a comprehensive ranking based on how well each team is positioned for the future.